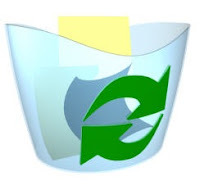 If you Don't want Recycle Bin Icon in Desktop and If you want to Get rid of the "Recycle Bin". Simply follow these steps... Simply follow these steps..
Click on the "Recycle Bin" string in the right hand pane. Hit Del, click OK..
Now close the registry editor and restart your computer so that Changes can Take Effect.